Beautiful level building lot that backs up to Jamestown Presbyterian Church property. Well and septic tank for now. Sewer in the area. Southwest schools. Nice building lot available for immediate use. 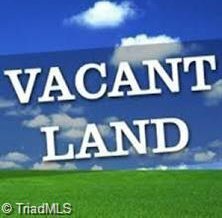 Low county taxes & centrally located to enjoy the amenities of Jamestown, High Point & Greensboro.